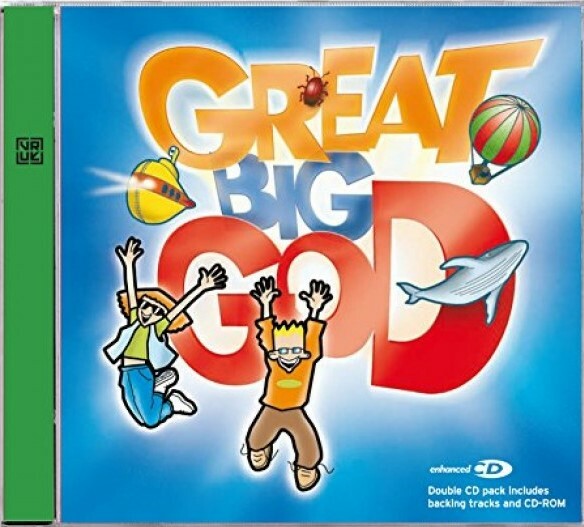 Vineyard Music UK broadens and brightens the worship horizon with its debut kids album, Great Big God. Seasoned musicians from previous Vineyard releases and a lively chorus of 120 children team up fro a praise celebration that explores rock, blues, folk, rap, ballads and even the zesty sound of Carribean carnival. Accompanying the album is a useful resource CD containing viewable files of the melody lines, guitar lead sheets and backing tracks. Great Big God 1 CD by Vineyard is published by Vineyard Records UK and is our 2858th best seller. The ISBN for Great Big God 1 CD is 6573300050234. Be the first to review Great Big God 1 CD! Got a question? No problem! Just click here to ask us about Great Big God 1 CD. Is there a list of songs for this CD? A:This album's tracklist is as follows: 1. Great Big God 2. I'm Gonna Run 3. God You're Good to Me 4. I Have Come to You 5. I'm Gonna Clap My Hands 6. Your Love Lasts Forever 7. Sometimes I Feel Afraid 8. You Call Me to be Yours 9. Child of Grace 10. Now Listen to Me (The Rap) 11. No Other God 12. I've Got That Joy 13. Man Looks on the Outside 14. Father God 15. Fill Me Up Lord 16. Jesus Come 17. I Give Thanks Thank you for using the Q&A Forum.